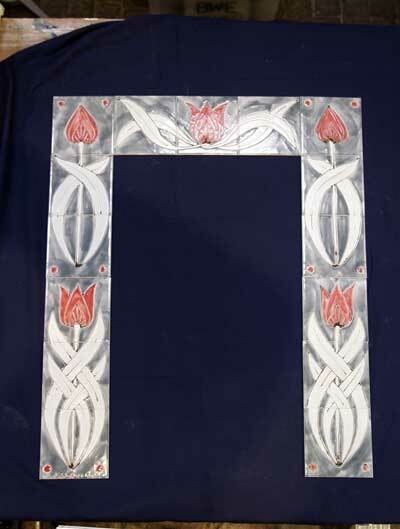 Tiles for – Armorials / Heraldic tile panels, Signs and Lettering, Fireplace tiles, Mirror surrounds etc. NB. 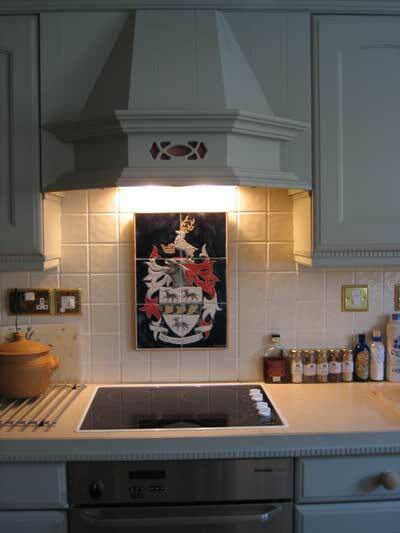 For a simple crest and shield recommend a minimum of 6 tiles; a larger panel is needed for anything more complex to avoid loosing lots of detail! 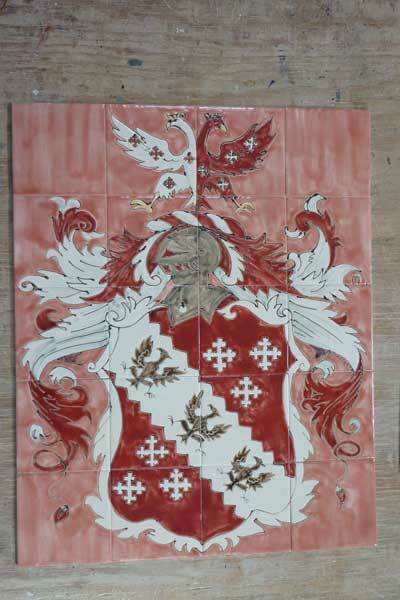 Historic armorial . 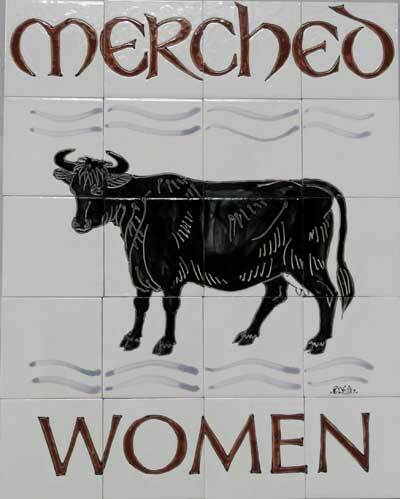 Hand drawn in cuerda seca. 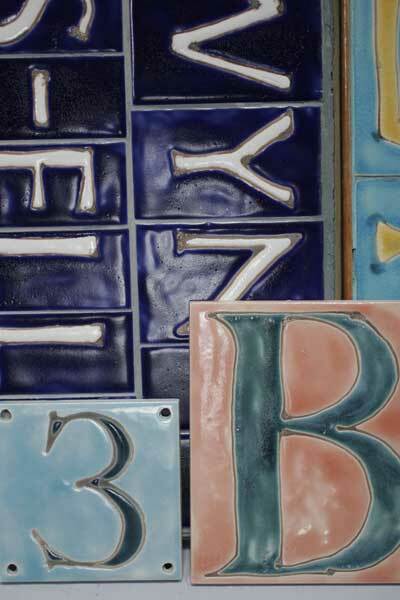 6″ 153mm tiles. 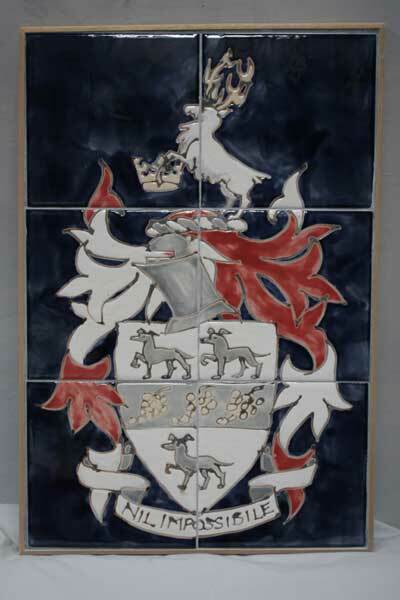 Family crest . 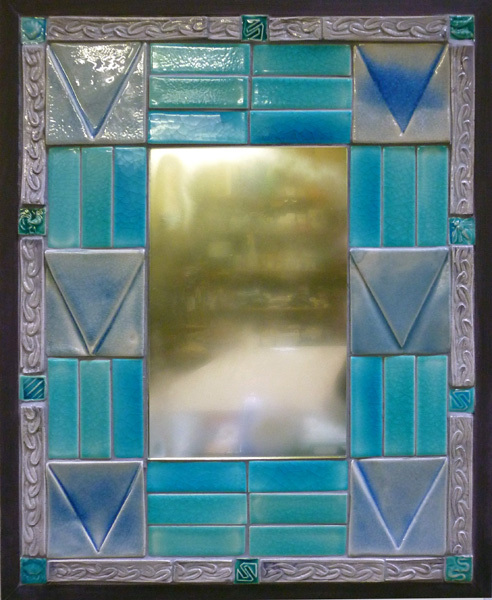 Framed panel that moves house with the family. 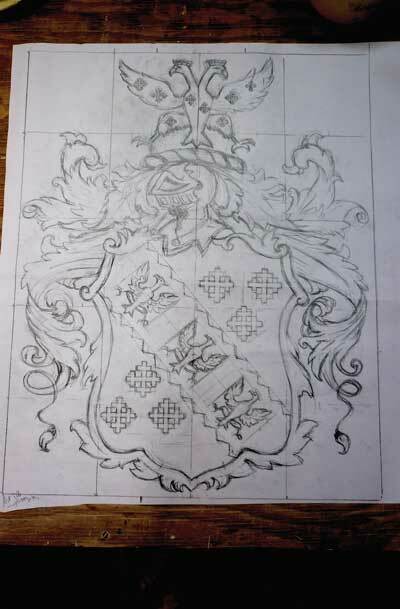 Armorial – full sized working drawing. 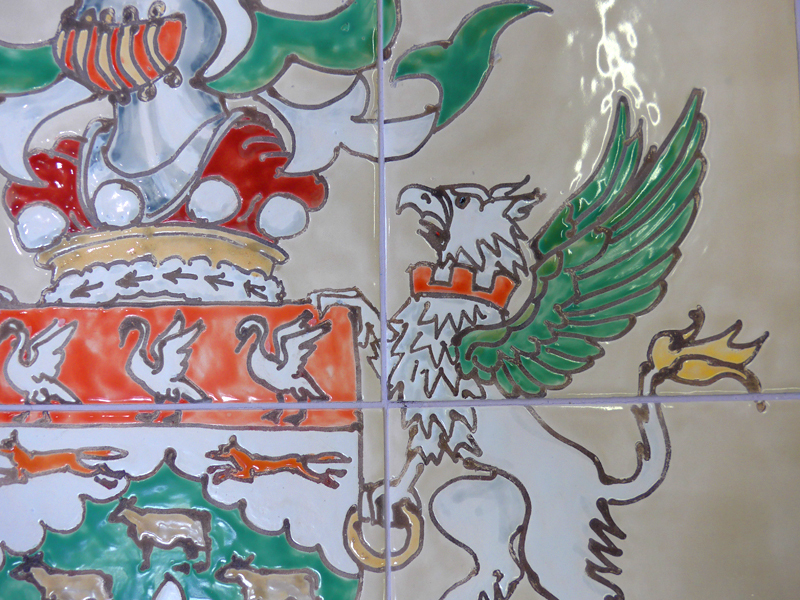 Griffon detail of heraldic crest on tiles..
A new tile surround in an original fireplace.6″ 153mm tiles. 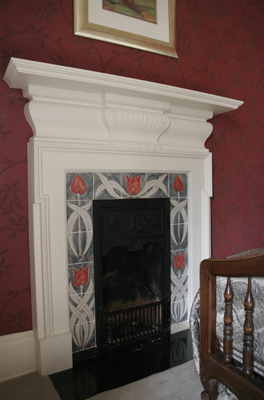 Fire place surround for an arts and crafts house. 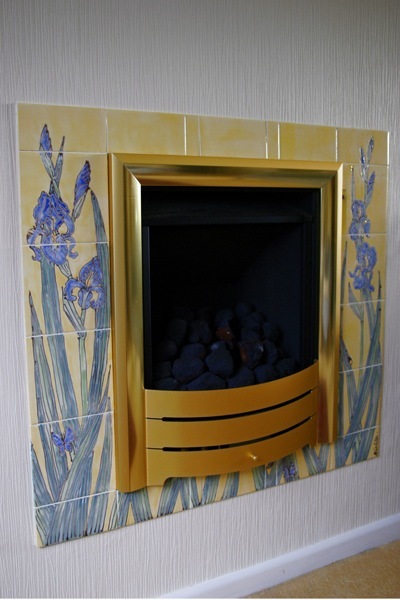 Tiled surround for a modern gas fire. 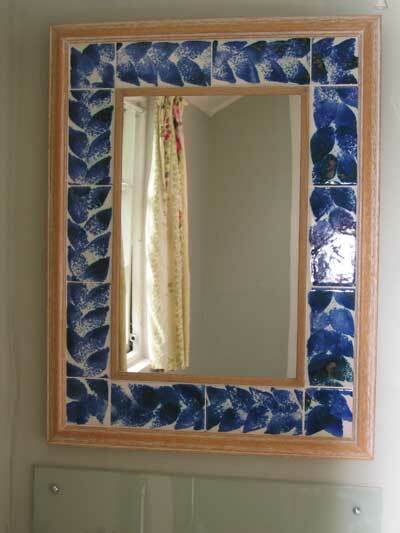 Bathroom mirror framed with a simple sponge print leaf surround..
Sponge print mirror border tiles over white tin glaze..
A framed mirror using handmade clay tiles and rouletted borders with cut pieces of standard tiles. 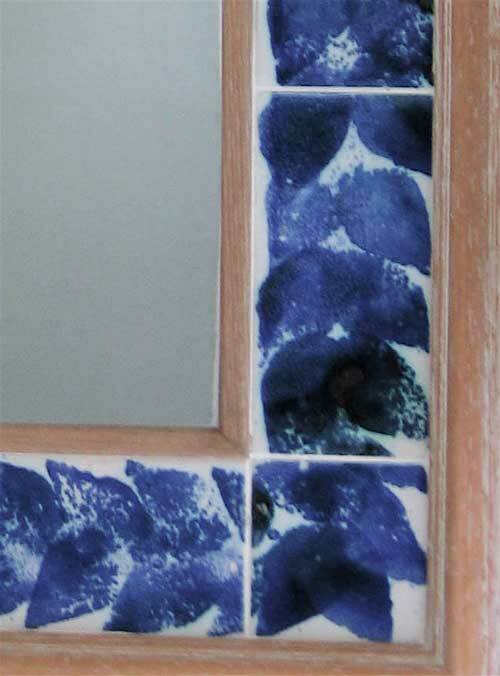 -Suitable for a bath room, or washroom. 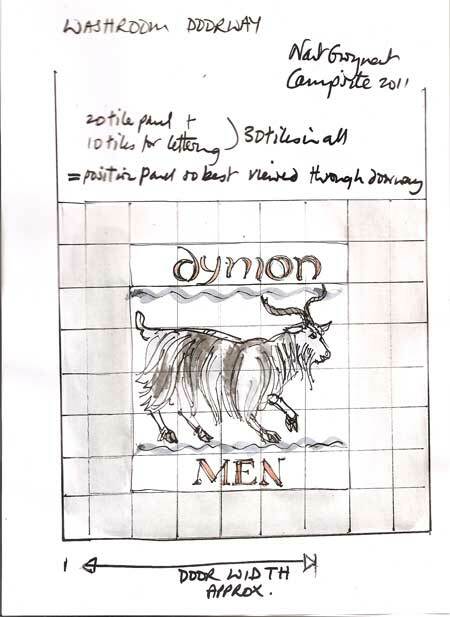 Single tile company sign. Hand drawn- These only work if they are simple designs! 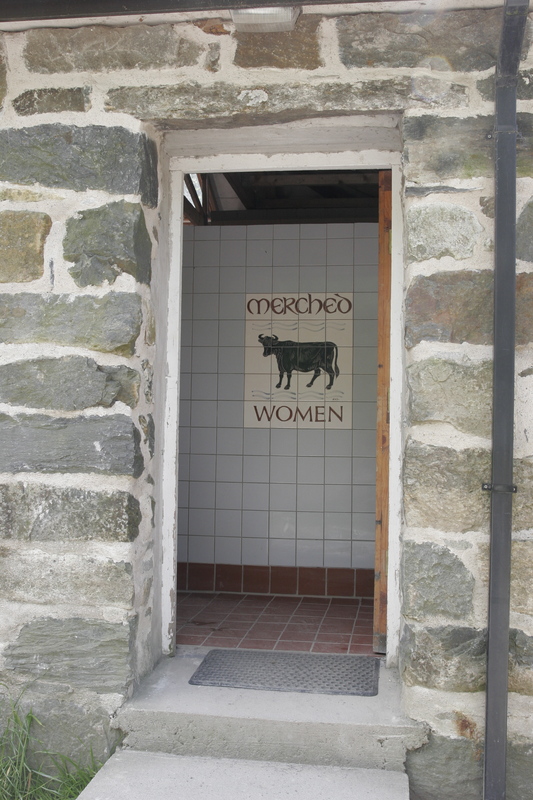 Sign for a Welsh campsite in Welsh and English. 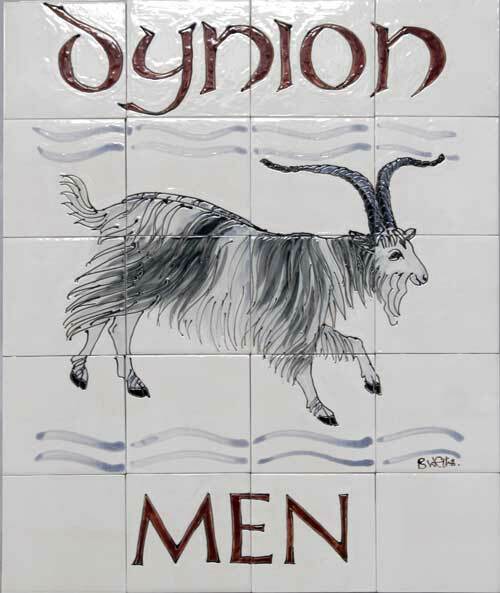 Sign tile panel in Welsh and English for Llyn Gwynant campsite. Scale drawing for a campsite sign. Finished goat panel. 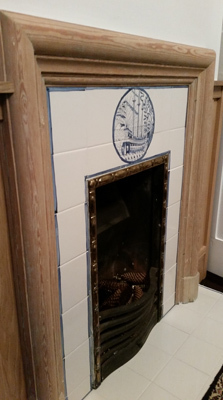 6″ 153mm tiles. Numbers and lettersin wax resist- small size projects only- I am not a calligrapher! 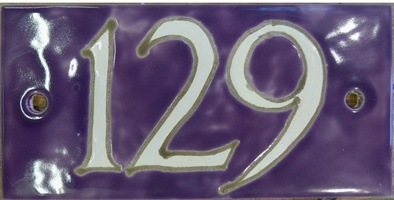 Rectangular handmade tile number with fixing holes.